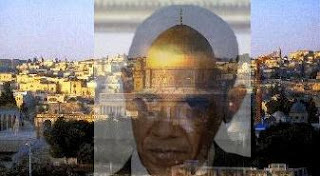 A full six months before Barack Hussein Obama’s Cairo speech, I reported on an interview I had with a high ranking member of the intelligence community who stated that the Obama administration would turn against Israel. That retiring member of the intelligence community laid it all out during our interview, stating that not only would the Obama administration abandon Israel, but the U.S., at the direction of Obama, would turn against the very nation with which we have long shared the core values of western democracy. Judging from the extremely high number of e-mails I received about this article, only a very small percentage actually believed my intelligence source. Interestingly, the majority of those e-mails that described the intelligence as hyperbolic if not outright false were from self-described Jews living in America. Perhaps those who questioned the authenticity of my source and veracity of his message will reassess their position in light of Barack Hussein Obama’s latest remarks referenced yesterday in The New York Times article titled Obama Speech Signals a U.S. Shift on Middle East. The article stated that there is an “…explicit link between the Israeli-Palestinian strife and the safety of American soldiers as they battle Islamic extremism and terrorism in Iraq, Afghanistan and elsewhere.” Accordingly, U.S. support for Israel must be balanced against other [Arabic & Muslim] interests, meaning that as far as Obama is concerned, Arab nations and Muslim interests will prevail over those of Israel. Barack Hussein Obama, true to his Muslim heritage and Arab roots, is leading America down the most dangerous foreign policy road in the history of the United States and perhaps all of human history. A path that will have prophetically disastrous consequences for the United States and the world, and one that is setting the stage for a war that was prophesied over two thousand years ago. The political hubris, anti-Semitism and pro-Islamic attributes of Obama as they relate to the nation of Israel are nearly equivalent to his disingenuous approach to Islamic terrorism in the U.S. As Mark Levin stated yesterday during his radio program, the phrase Islamic extremism was banned from the counter-terrorism lexicon, yet it is now a justification for turning on Israel. If you want to understand Obama’s approach to Israel, I strongly urge take ten minutes to listen to this ten minute segment from Mr. Levin’s program. As I reported in December 2008 based on my interview with a U.S. intelligence source, the worst was yet to come. Now, it’s closer than you think.